If you have an NLP Practitioner certification and have desires to work with people and their problems, then this course is for you. If you are a trainer, a teacher, a doctor or any other person working with people. This course will give you a deeper understanding of how the mind works and how you can use NLP interventions to help move your client/patient from their current undesired state to their desired state. 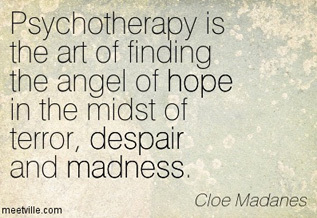 It covers in depth all the aspects of psychotherapy to qualify you as an NLP psychotherapist. This is the entire programme run over two 10 day modules. Each module is self contained and successful completion of the first module will result in the qualification of Diploma in Neuro Linguistic Psychotherapy. Completion of both modules will result in the Neuro Linguistic Psychotherapy Practitioner certification and the right to call yourself a Neuro Linguistic Psychotherapist. Assist students to understand and integrate their Practitioner and Master Practitioner knowledge in a therapeutic context. Explore student’s understanding of NLP applied in the context of behavioural modelling. Develop an awareness of the philosophy and models of NLP applied in the context of therapy (NLPt, Neuro Linguistic Psychotherapy). Promote an integrated competence in the methodologies of Neuro Linguistic psychotherapy (NLPt) including the appropriateness of interventions. Develop a sound method in client assessment and history taking. Create a clear code of practice in contracting, beginning and ending relationships with clients. Stimulate clarity in evidence based practice Knowledge of human development from infancy to old age. Diagnostic assessment of presenting issues. Classification of psychopathology including the use of DSM IV. Comparative diagnostic criteria of commonly presenting aspects of mental illness. History taking in mental issues. The relationship of the above to the practice of Neuro Linguistic Psychotherapy. To utilise the information in MIMS and the British National Formulary (BNF). To gain knowledge of commonly prescribed psychotropic agents. A basic understanding of psycho-pharmacology. A knowledge of ethical issues in therapy and ways of responding. Enhance the client therapist relationship. Develop understanding of issues of transference and counter transference. Enhance understanding of boundaries and the challenges that can occur. Create an awareness of inter professional relationships and the appropriateness of referrals. Recognise the limits of competence and the need for referral. Develop competence in report writing and case-conceptualisation. Promote understanding of the impact and potential of supervision. Understand the benefits and drawbacks of different supervision models. Become aware of different approaches to NLP as a psychotherapy. Critically evaluate the evidence of NLPt as an effective approach. Concepts of self and relationship with others. Theories relating to aggressive behaviour. The nature and function of attitudes. The responses to social influence. Approaches to research and their strengths and weaknesses. Models of feedback and assessment of practice. Assessment of the impact of interventions. A basic understanding and appreciation of current Psychotherapies including Psychoanalysis, Person Centred, Behavioural, Gestalt and Transactional Analysis, by contrasting the history, personality theory and process of psychotherapy of each model. A recognition of the essential similarities and differences between counselling, psychotherapy, and coaching. An awareness of the merits of and appropriateness of referral to practitioners skilled in different modalities. An understanding of how the day to day practice of the above may differ from Neuro Linguistic psychotherapy. Written closed book examination on the contents of the entire programme. Completion of 3000 word assignments in Theory and Practice of NLP. Both modules will also include extensive self discovery and dealing with all the students issues by individual sessions with each other.